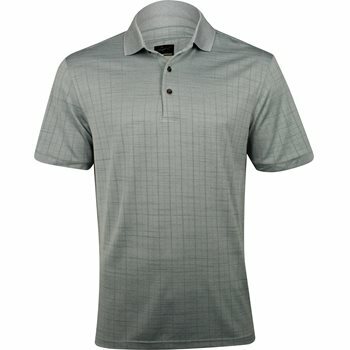 The Greg Norman Spark polo is designed with a knit collar, rib knit sleeve detail, the raised Shark logo centered at the back neck, and a 3-button placket that allows closure adjustability. The polo offers UV protection and features PlayDry technology that draws sweat away from the skin to keep it cool and dry for all day comfort. The Spark polo is made with polyester fabric that is easy to care for. The fabric is machine washable and resistant to shrinking and wrinkles.